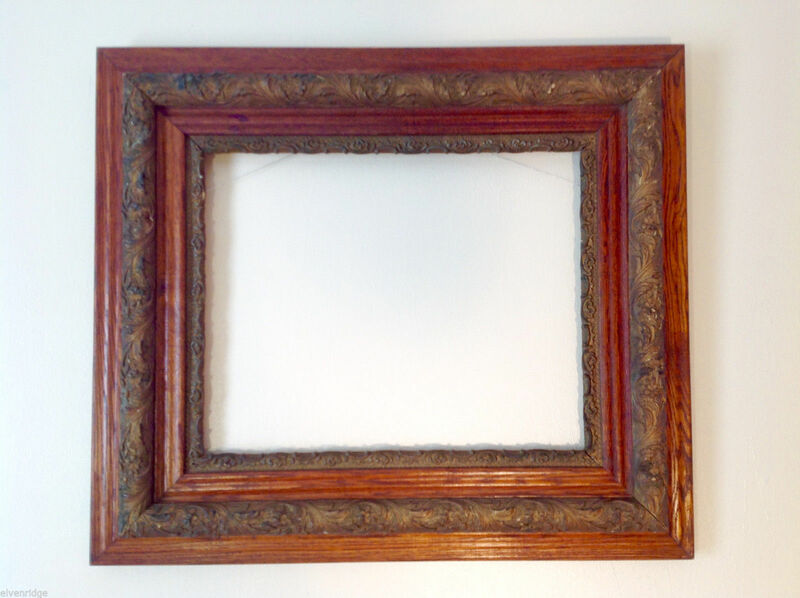 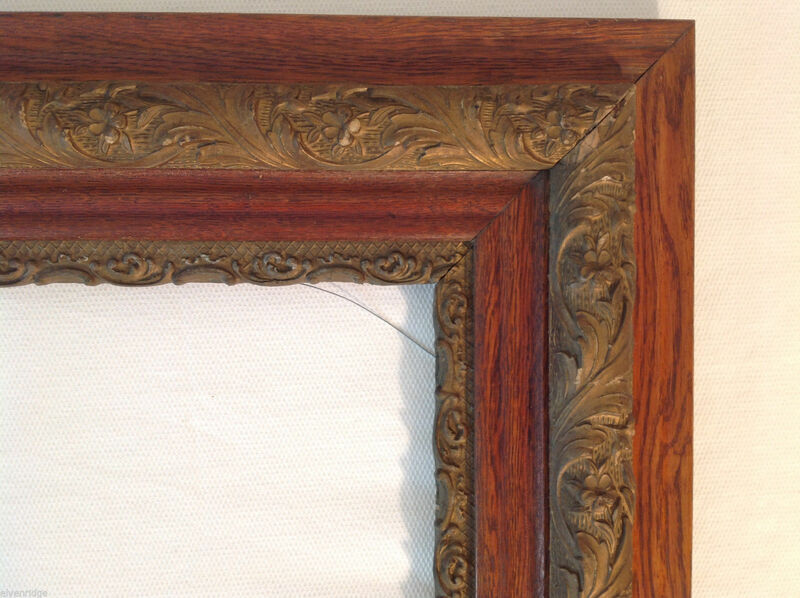 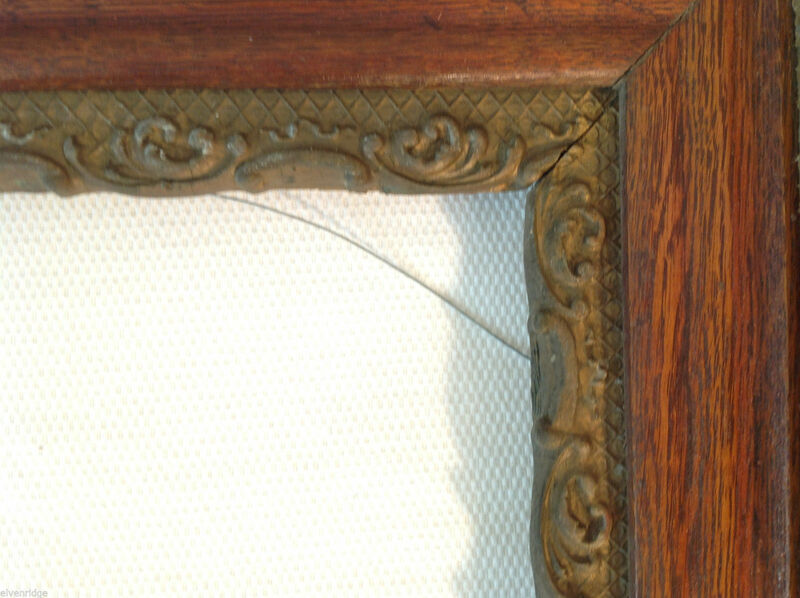 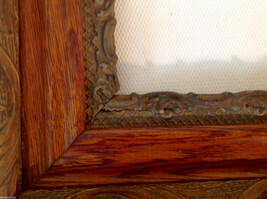 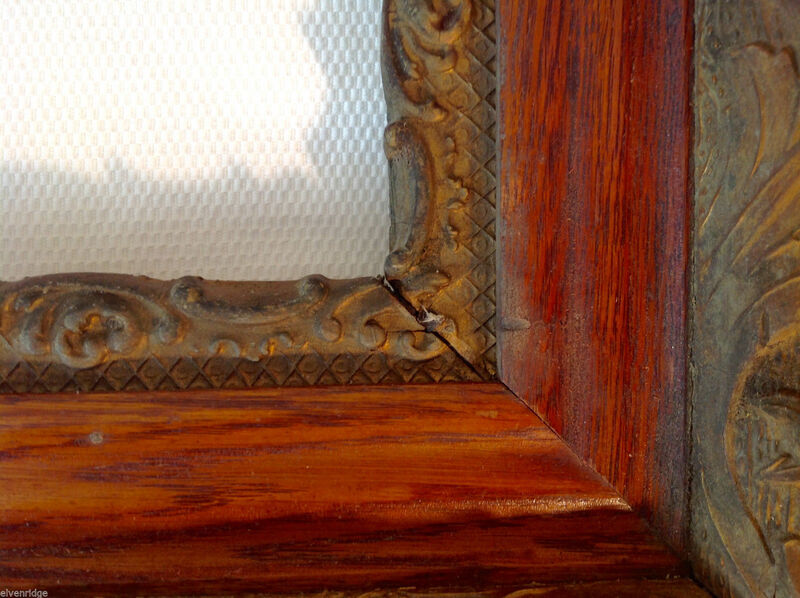 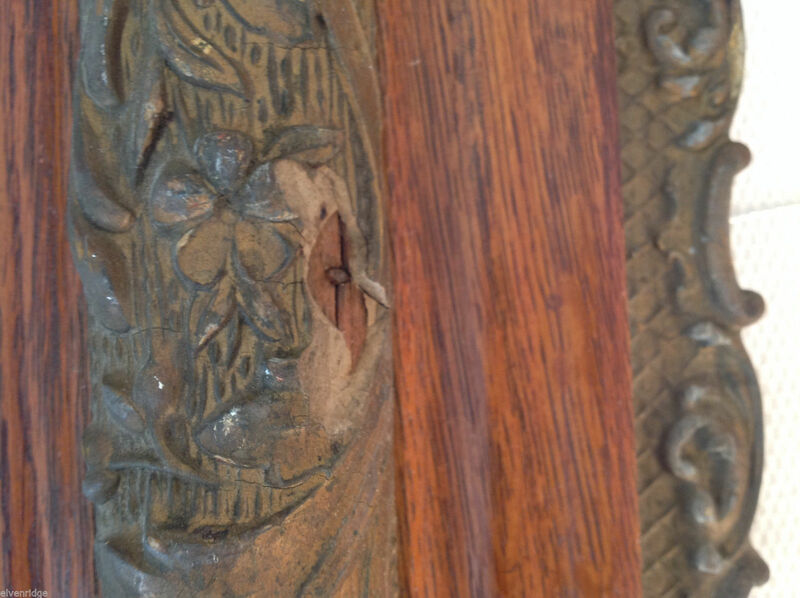 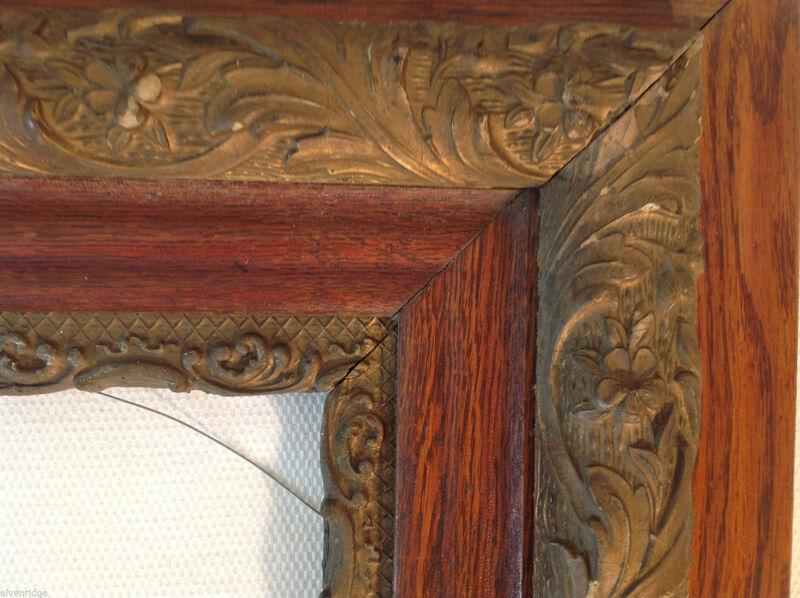 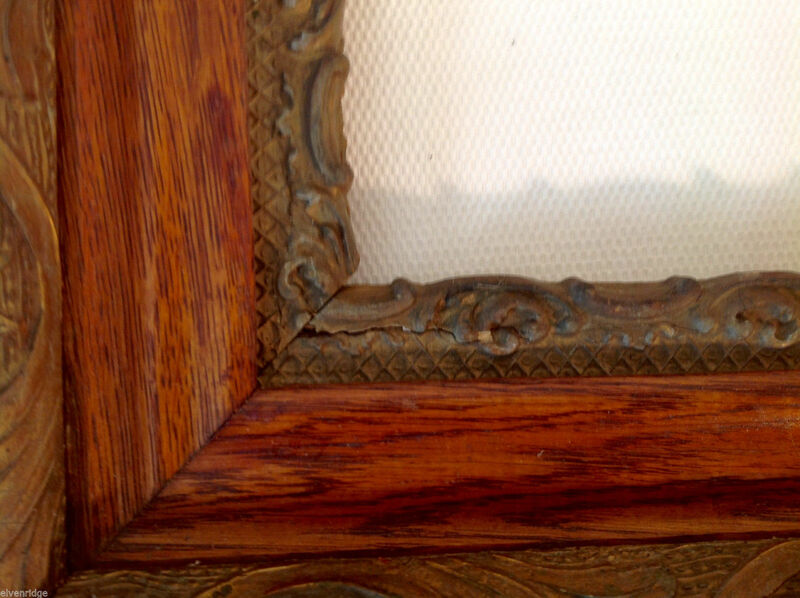 This is a vintage/antique hand-carved wooden (possibly oak) art or picture frame. 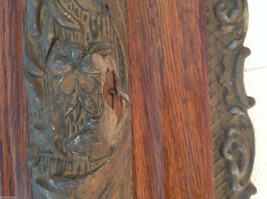 Features alternating smooth wood and hand-carved rectangular sections (the latter have a natural/floral theme). 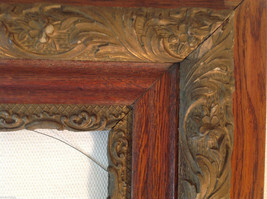 Has some faults: some separation at the interior mitered edges, a crack in the lower left inner carving region, and a chip out of the upper left wood carving (see pictures). 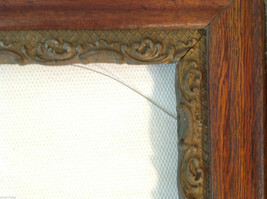 Also has normal wear consistent with its age and vintage condition.